3.3.1. 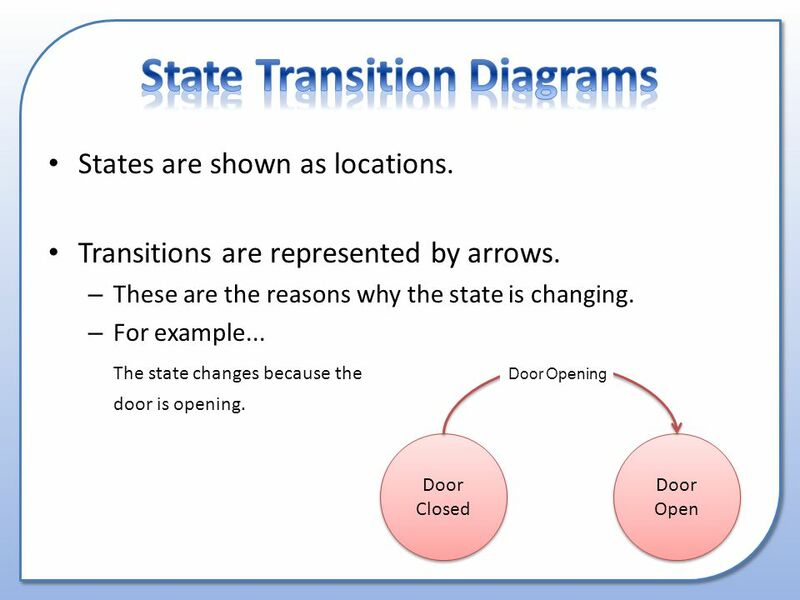 What is a State Transition Diagram? 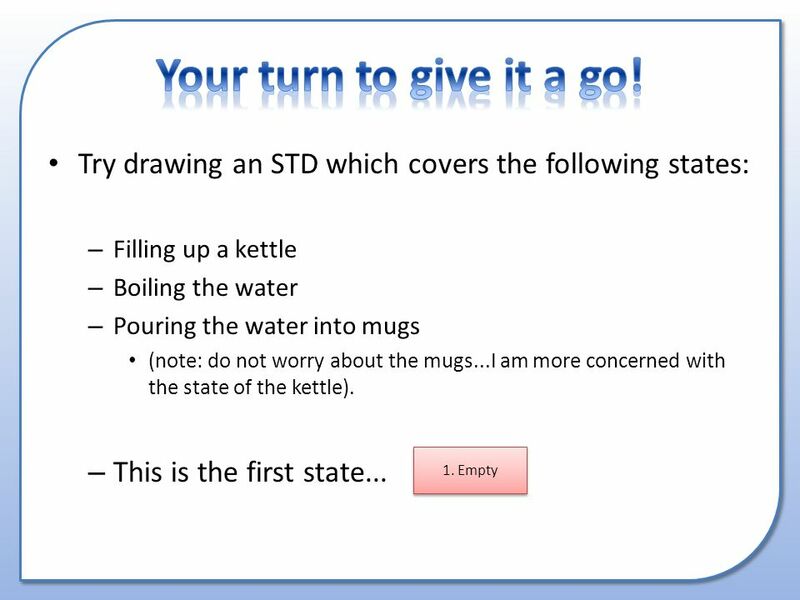 Why are they used? How to draw them. 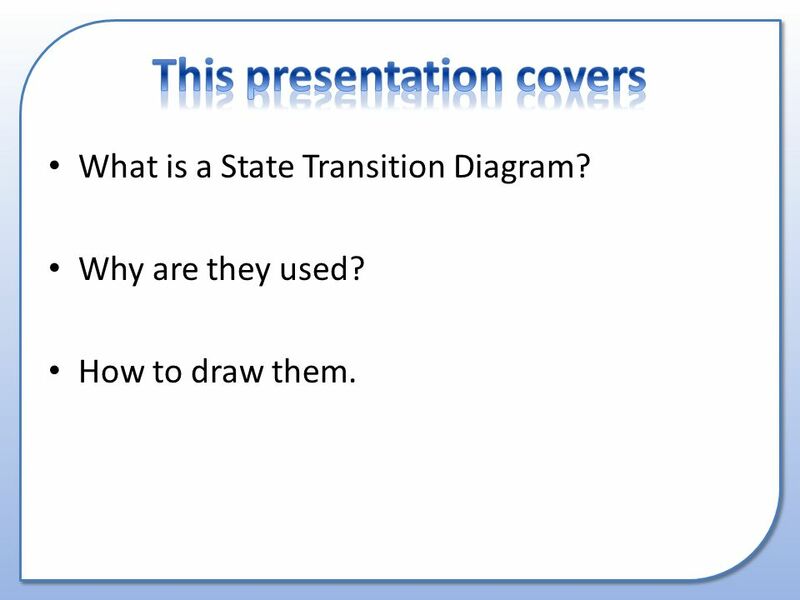 2 What is a State Transition Diagram? Why are they used? How to draw them. 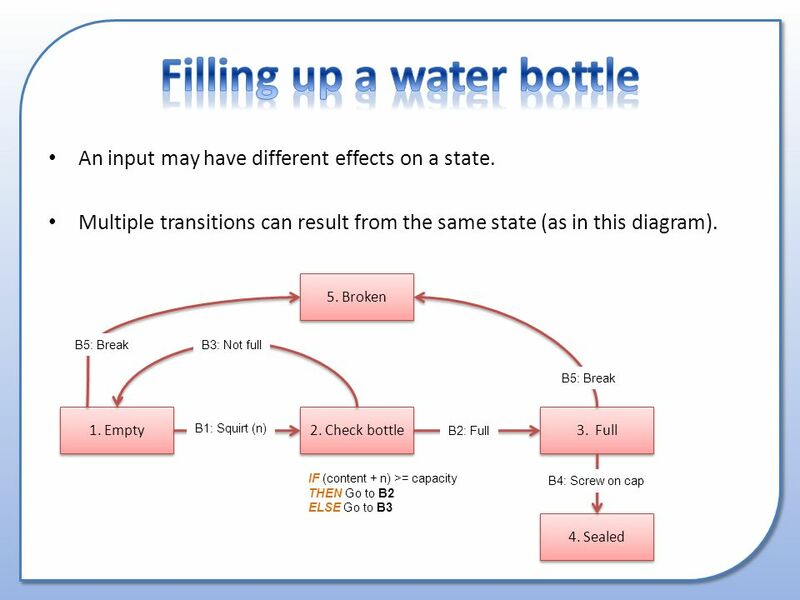 3 A system can be defined at any one point as being in a particular state... 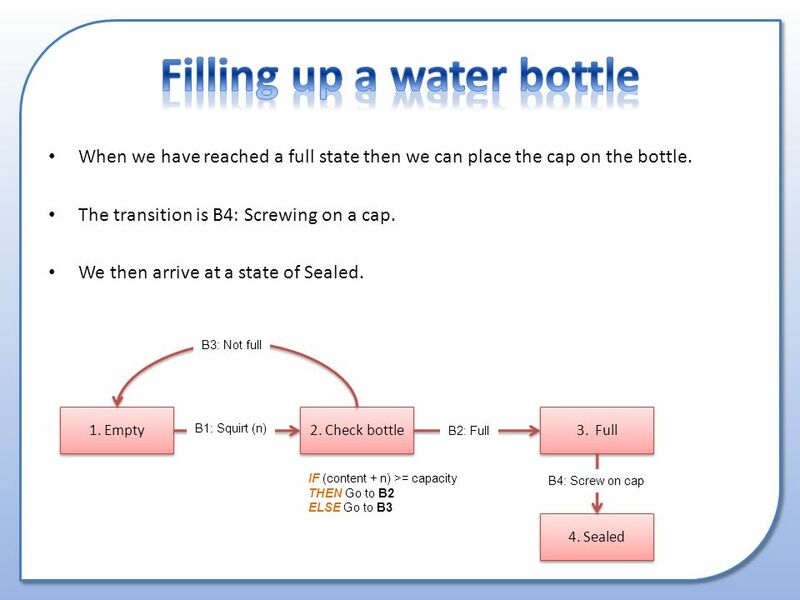 Whether it is ready to receive an input or processing data ready for it to be output. 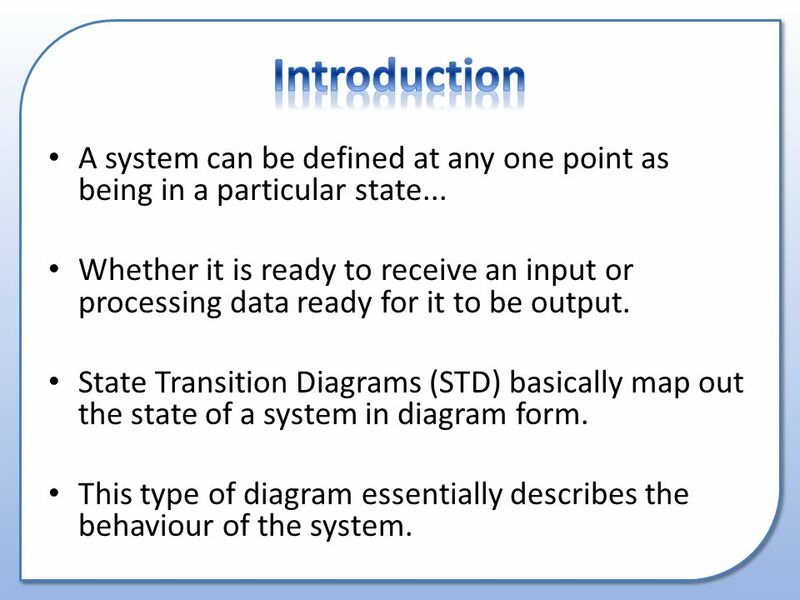 State Transition Diagrams (STD) basically map out the state of a system in diagram form. 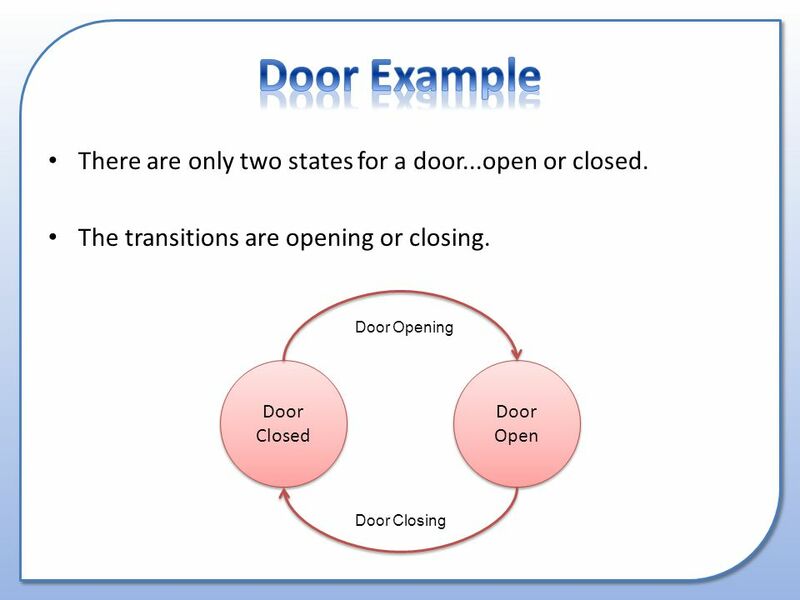 This type of diagram essentially describes the behaviour of the system. Download ppt "3.3.1. 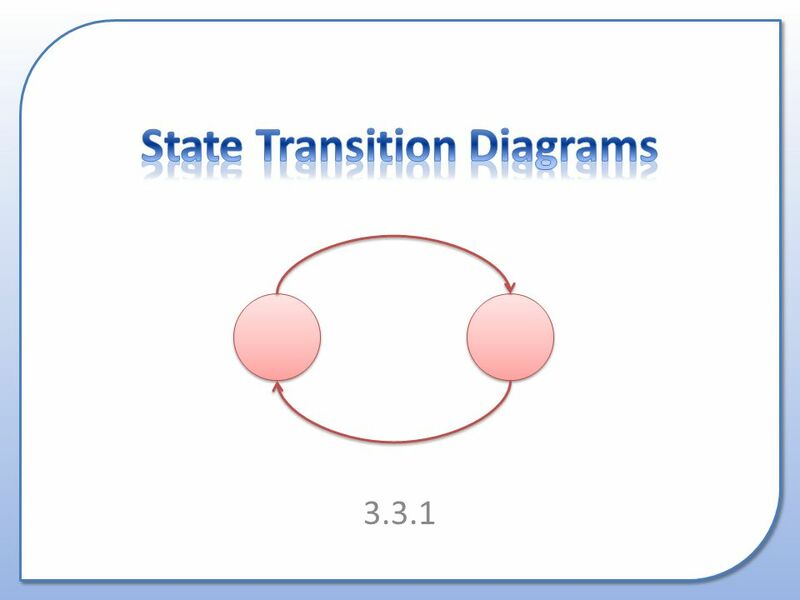 What is a State Transition Diagram? Why are they used? How to draw them." An insulating sphere of radius b has a spherical cavity of radius a located within its volume and centered a distance R from the center of the sphere. Air WALT: to know some of the characteristics of air WILF: to understand that air exerts pressure. Measuring Capacity 1SMI3P2.  Can you build a set of personal references to make estimations easier and more accurate? 2SMI3P2. What Critical Path Analysis is. How to create a basic CPA diagram. 1 CSE 417: Algorithms and Computational Complexity Winter 2001 Lecture 20 Instructor: Paul Beame. 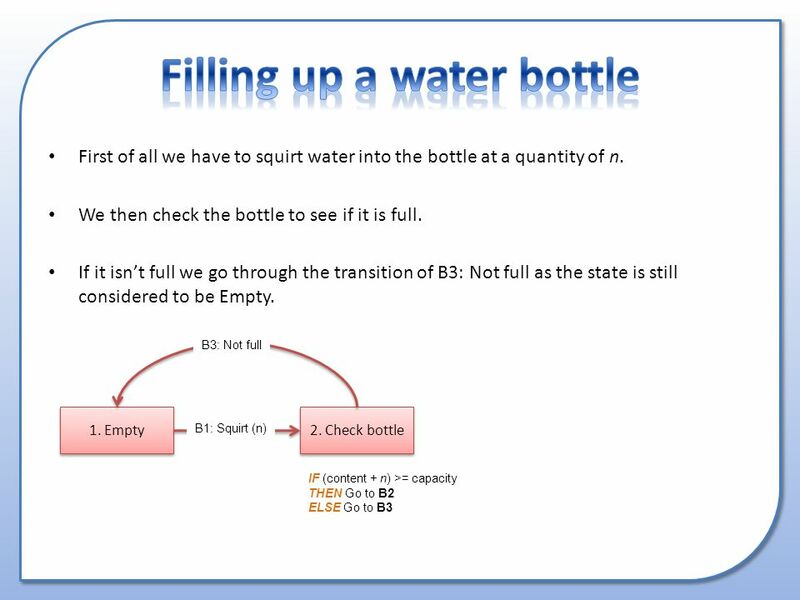 Essentials of state and activity diagram Lecture 24. 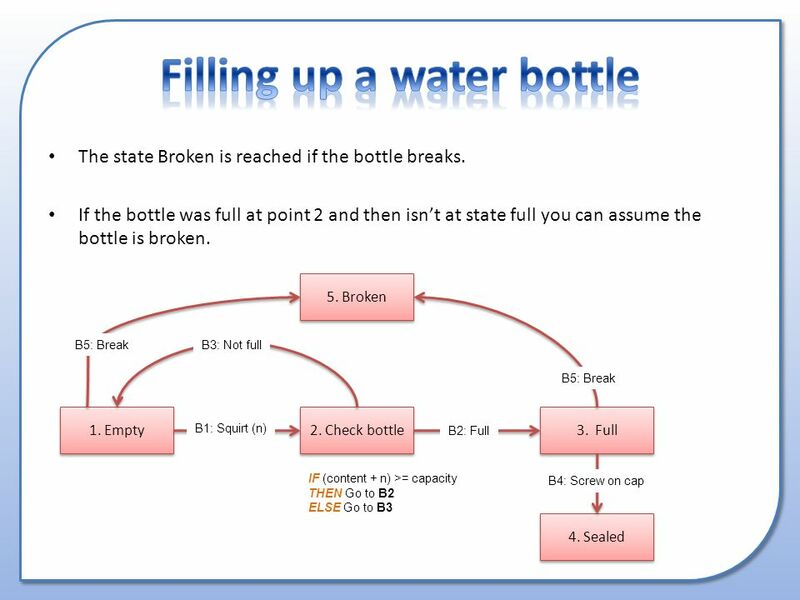 Requirements Analysis Activity Diagrams b511.ppt © Copyright De Montfort University 2000 All Rights Reserved INFO2005 Requirements Analysis. This project and its actions were made possible due to co-financing by the European Fund for the Integration of Third-Country Nationals Heat loss experiment. © Boardworks of 8 Relations and functions. 3.3.1 ManageYourTime. What is a Gantt Chart? Why are they used? How to create one. What is a Flowchart? Why are they used? How to draw them. Math Rounding By Grade 4.